A beautiful new edition of an annual favorite is filled with devotional material to inspire you as you keep track of your daily life and prayer life! This beautifully designed desk calendar, with a lay-flat spiral binding, will help you keep your life -- spiritually and practically -- organized and imbued with a greater sense of direction and peace. Each month is illustrated with a lovely seasonal photograph and opens with a scripture verse, a devotion, and a monthly calendar. Each week offers a prayer. Each day includes a Bible verse to buoy you. 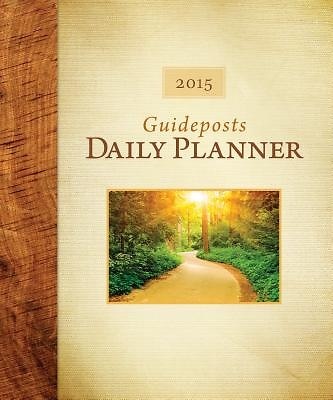 With plenty of space to keep track of birthdays, anniversaries, meetings, and appointments and to record prayer requests and answered prayers, Guideposts Daily Planner 2015 is so much more than an appointment book. It is a yearly keepsake and an opportunity to record God's presence in your everyday life.